WINTER HAVEN, Fla. Two girls were arrested in a Florida bullying case after one of them admitted online over the weekend that she harassed a 12-year-old girl who killed herself last month, a sheriff said Tuesday. Polk County Sheriff Grady Judd said they arrested a 14-year-old girl because they were worried she would continue cyberbullying other girls. The girl is accused of threatening to beat up 12-year-old Rebecca Ann Sedwick, telling her "to drink bleach and die" and saying she should kill herself, the sheriff said. Last month, CBS News correspondent Michelle Miller reported that the one message that her mother, Tricia Norman, cannot forgeturged Rebecca Ann to kill herself. "'You haven't killed yourself yet,'" Norman recalled the message saying. "'Go jump off of a building.'" 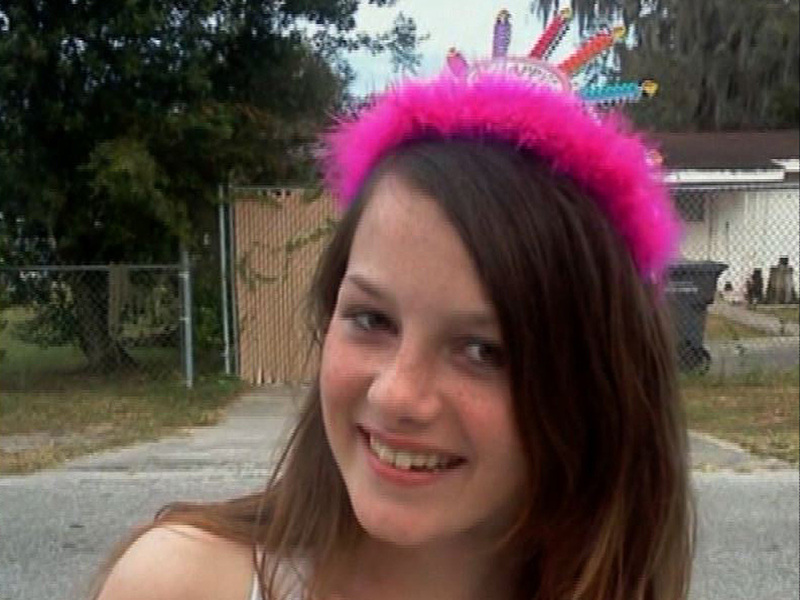 After nearly a year of bullying by as many as 15 girls, authorities said Rebecca climbed a tower at an abandoned concrete plant Sept. 9 and hurled herself to her death. Judd said police arrested the 14-year-old girl after she posted Saturday on Facebook that she bullied Rebecca and she didn't care. "We decided that we can't leave her out there. Who else is she going to torment, who else is she going to harass?" Judd said. Police also arrested a 12-year-old girl who is accused of bullying Rebecca. Both have been charged with felony aggravated stalking. The sheriff's office identified the two girls, but The Associated Press generally does not name juveniles charged with crimes. Judd said the bullying began after the 14-year-old girl started dating a boy that Rebecca had been seeing. She "didn't like that and began to harass and ultimately torment Rebecca," Judd said. A man who answered the phone at the 14-year-old's Lakeland home said he was her father and told The Associated Press "none of it's true." "My daughter's a good girl and I'm 100 percent sure that whatever they're saying about my daughter is not true," he said. A message left at the 12-year-old girl's home was not immediately returned. The girls were arrested Monday night and released to their parents' custody. They remain on home detention. The 12-year-old girl was Rebecca's former best friend, but the sheriff said the 14-year-old girl turned her against Rebecca. Other girls also stopped being friends with Rebecca in fear of being bullied, the sheriff said. Judd said he was upset the girls still had access to social networks after Rebecca's suicide. "If we can find any charges we can bring against their parents, we will," Judd said. Judd said neither girl's parents wanted to bring their daughters to the sheriff's office, so detectives went to their homes and arrested them. Judd said the 14-year-old was "very cold, had no emotion at all upon her arrest."